Home Internet News Telecoms Ten tech startups win P5 million funding each from IdeaSpace Foundation! 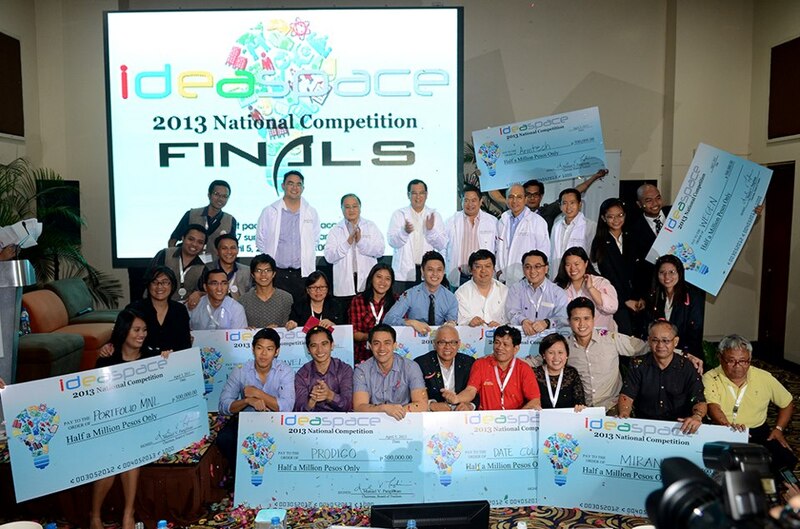 Ten tech startups win P5 million funding each from IdeaSpace Foundation! Ten technology startups won up to P5-million in funding in a national search conducted by IdeaSpace Foundation, Inc. (IdeaSpace), the business incubator backed by industry leaders from companies under the First Pacific Company Ltd., Metro Pacific Investments and the PLDT group. More details after the jump. These ten teams will receive six months business incubation and initial funding of PhP500K each. They will also receive mentoring, support, services and grants from IdeaSpace partners with estimated worth of PhP2M to scale up their business. On top of these, all teams can get additional investments of up to PhP5M each within the incubation period. IdeaSpace will also link the teams to potential investors in the Philippines, Silicon Valley and other parts of the world. The winners were chosen from almost 700 entries from all over the Philippines, a record number for a local technology or startup business competition. After several levels of screening, they were awarded right after the final pitching and judging event at the First Pacific Leadership Academy in Antipolo last April 5. The panel of judges for the final leg was led by Manuel V. Pangilinan, managing director and CEO of First Pacific and included Jose Ma. K. Lim, president and CEO of Metro Pacific; Ricardo Blancaflor, director general of the Intellectual Property Office of the Philippines; Orlando B. Vea, president and CEO of Digitel Telecommunications Philippines (Digitel) and Chief Wireless Advisor at Smart Communications, Inc. (Smart); Johan Hellstam Segergren, Philippines and Thailand country manager of Google Enterprise; and Lawrence Goh, Chief Information Adviser for PLDT and Smart. Edward A. Tortorici, executive director of First Pacific and Executive Advisor at Metro Pacific joined the judging panel online. SGV & Co. provided tabulation and auditing services. "All the finalists were equally impressive but these ten teams emerged as winners. We're excited for our first batch of incubatees. Our job now is to help them become investable businesses at par with global standards.” said Earl Martin S. Valencia, IdeaSpace president. “We have seen such an amazing diversity of ideas from our competition's first run. What is common is that they all pose innovative and disruptive solutions to market needs. It's a strong statement for science, technology and business." he added. Six of the winners were from Metro Manila, two from Mindanao, one from Central Luzon and one from Bicol region - reflecting the geographical spread of science and technology business idea potentials in the country. The first batch of IdeaSpace funded startups show a mix of hardware, mobile and software solutions for various industries such as agriculture, energy, ICT, healthcare, media, telco and transportation. IdeaSpace targets early stage funding for aspiring technology entrepreneurs or technopreneurs with potentially innovative or disruptive business ideas or startups with minimum viable products seeking additional boost to propel them to commercial launch level. IdeaSpace aims to help build investable startups which can take off locally and later scale globally through various partnerships with international companies and venture capital funding firms. Launched in March 2012, IdeaSpace conducted a national road show and opened its competition in late August. Submissions closed in early January. Incubation services for the winners include office space, business operations support (accounting, legal, IP assistance and marketing), housing facilities for non-Metro Manila based winners and executive trainings. Winners will also receive services, mentoring and assistance from IdeaSpace partners such as Amazon, Asian Institute of Management, Freelancer.com, Ionics, IPO Philippines, Microsoft Philippines, Adamson University and the University of the Philippines-Open University. A non-profit foundation, IdeaSpace is supported by the following companies: First Pacific, First Pacific Leadership Academy, Metro Pacific Investments Corporation (MPIC), Metro Pacific Tollways Corporation (MPTC), MPIC hospital group, Philippine Long Distance Telephone Company (PLDT), Meralco, Smart Communications, Inc. (Smart), Digitel, Sun Cellular, SPI Global, ePLDT, Indofood, Philex Mining, Maynilad, MediaQuest, and TV5. With P500-million funding for 5 years, the initiative is the largest private sector commitment for technology entrepreneurship in the Philippines.